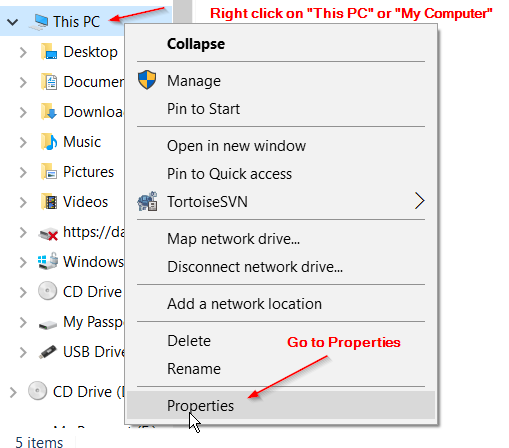 Your Installed Memory (RAM) will be listed. This machine has 8 GB of RAM, so I will allocate 6GB to CAS. 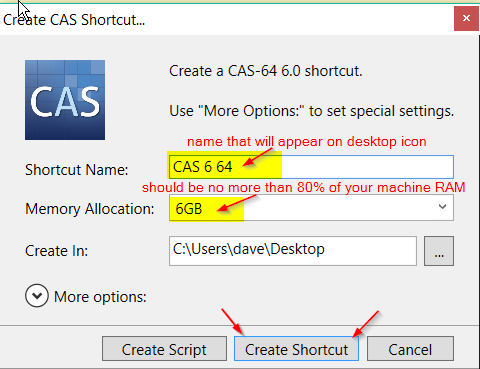 Go to CAS and click "System" "Create CAS Shortcut"
Once you create your CAS Shortcut, Close CAS, then reopen by double clicking on the newly created desktop shortcut. 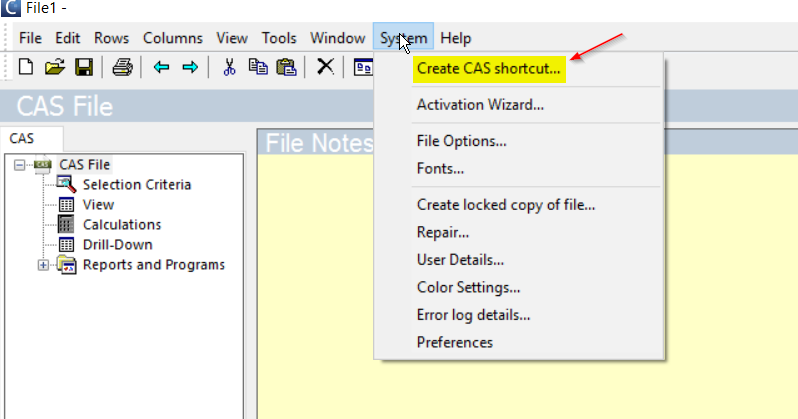 Open your CAS file by going to "File" "Open"